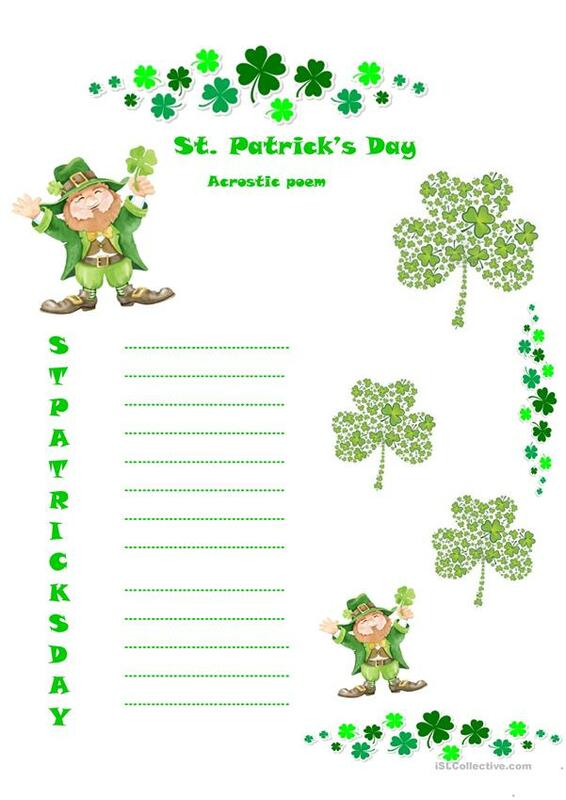 Students have to write an acrostic poem using each letter. It can be a limerick or nonsense. For the little ones you can change the activity: they can think and write a simply word with each letter. For ex s is for sun, sister, snake.......I hiope you like it! The present printable, downloadable handout is best suited for high school students, elementary school students and students with special educational needs, learning difficulties, e.g. dyslexia at Elementary (A1) and Pre-intermediate (A2) level. It was designed for improving your pupils' Reading and Writing skills. It centers around the topic and words of St.Patrick's day.